Discussion in 'The Lightweights' started by Earthworm Jim, May 24, 2014. - Put him in an 8 week crash course/training camp & bring him up to scratch in all facets of modern MMA, as well as the unified rules & of course, no killing! How do u see him fare? - Does he even get past experienced low tier modern MMA fighters? - Will it all be dependent upon the athlete & the training camp? - Can a warrior from a different time period conform to the discipline of the modern era? He loses badly. 2000 years ago, men and women were smaller/shorter than today. Not that true and depends on region. The average European was taller before the industrial revolution. The Germans and Gauls would have been taller than the average Italian. Even the best Pankrationist loses. He'd do very well imo. Too athletic & explosive for everyone in the UFC. Cody Mackenzie would would stand alone and yell "are you not entertained!!!" That dude is great in everything. Blood Diamond, Constantine, Push. Doesn't matter. he'd probably get disqualified for gouging out someones eyes or smashing their throats in. Because all people today are all huge and enormous. There certainly are not barely over 5ft fighters weighing 125lbs in the UFC. Today I learned all people from 2000 years ago were approximately the size of a GI Joe figure. its funny how our non evovled ancestors could make fires out of sticks and nowadays not many can.. oh how would they have survived.. 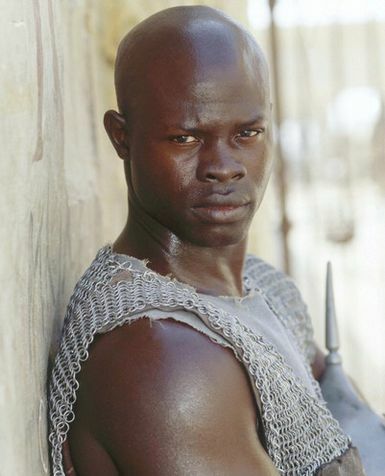 I'm pretty sure this is Cheick Kongo's long lost great ancestor. No. No I did not. I was comparing professional athletes from just 50 years ago (just 2.5% of the time in question) to modern athletes. They get blown out of the water (no pun intended). .............only Fedor could compete due to his old school training regimen. HM to Cain and DC.